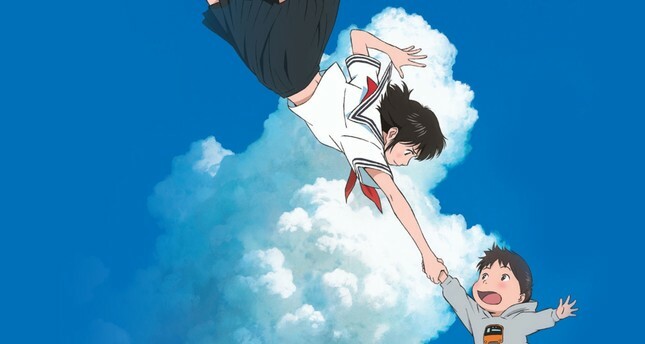 Nominated for the Best Animated Film at the 2019 Academy Awards, Japanese director Mamoru Hosoda's "Mirai" will hit Turkish theaters on March 22. Hosoda is a big name in the anime scene especially for his former productions, like "Digimon: The Movie" and "The Boy and the Beast." After I saw the anime, I wondered if it was created by Hayao Miyazaki's famous Studio Ghibli. However, it was made by Studio Chizu, founded by Hosoda himself, which makes me think that Studio Ghibli has a strong rival. The film tells the story of Kun, a 4-year-old boy, whose life turns upside down with the arrival of his little new-born sister Mirai, meaning "future" in Japanese. Mirai brings a new agenda for Kun, who has been the only center of attention in the family. But now, nearly all the attention goes to the little baby as the mother has to return to work and the father, who is a freelance architect, takes care of the kids and the household. This new system comes with its own problems, especially for the parents who try to save the day without disasters. It is a universal issue in the modern day, with women's wider participation in the workforce and men having to share responsibilities compared to old days, when women used to stay at home running the household. Everywhere in the world, though in different intensity in various cultures, women are giving a fight for an equal share of responsibility for the family. The director successfully conveys the problem so realistically for an anime. However, in a story told from the perspective of a 4-year-old boy, it is not relatable for a child's mental and psychological realm. He only feels the lack of former attention and crying loudly, squawking crazily and behaves like his age. His tone of voice even gets quite disturbing at times. I remember thinking "how nice would it be if his voice was a little bit tolerable." Luckily, the story started to be exciting when he discovers a new world, which he encounters after an unbearable misery for a boy, in the backyard of their house, built in a modern design by the father. The garden is ornamented with a single tree, maybe symbolizing the family or the loneliness of Kun. It suddenly becomes a magical dreamland for him where he bears witness to the past forms of his parents, grandparents and the future young girl Mirai would become. He gets to understand everything better when he sets off a journey in the body of a little kid with his teenager future sister. The journey calms down him as the pain of growing is now something he can get over with looking from the perspective and guidance of Mirai and advice of his grandparents. It is again unrelatable by nature for a child and an extraordinary narrative that has no place in reality, but a joy for the eyes with the successful, hand-drawn motions depicted in a pleasant choice of colors and spaces. Like in the anime master Miyazaki's films, who also portrays little kids lost in haunted places, in parallel universes and non-real times, inspired by his wartime memories, "Mirai" also makes the viewers found themselves in a made-up realm, enjoying the colors and drawings while falling into a feeling of emptiness and trepidation. Kun and Mirai's journey in a parallel universe, looking down to their family tree, visiting past and future possibilities is kind of creepy and too much for a boy's world even in an anime. Although it does not have a definite solution, in the end, the story is most enjoyable and thrilling in the last half an hour. It feels elongated and subtle in the middle but yields its visual fruits towards the end. The film is waiting to be seen for the lovers of this genre, especially for grownups wishing to see a fictive child world. However, I am not sure if children would understand, love and relate to the story, surrounded by adult perspective.